Ok, so some time has gone by since my last entry, as I have been busy working on a new Picture Book and traveling to book signings and events nearly every weekend. One thing I have participated in recently though is one of many "beach cleanups" held in Clearwater Beach, Florida (about 2 hours from where I live). 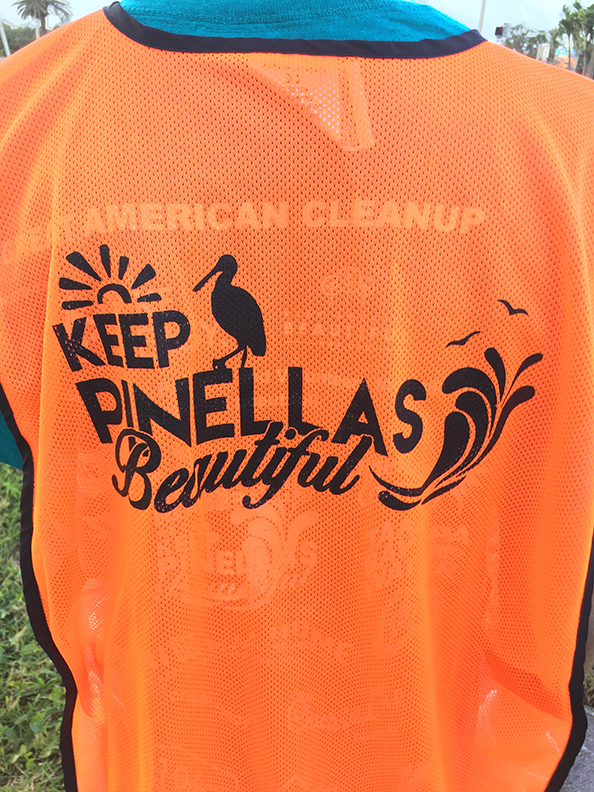 Sponsored by the Clearwater Marine Aquarium and by the county itself, these cleanups are so simple, yet so crucial it's astounding. Seeing how much trash that is literally just thrown or left along the beautiful causeway towards Clearwater Beach is truly eye opening. But not only do the dozens of volunteers picking up hundreds of pounds of trash help keep the area pristine to the eye, these efforts help stop these mountains of plastics and metals and chemicals from making their way into the water, where they do nothing but harm to the the marine life. I highly recommend participating in any kind of "clean up" in your area. They not only do tons of good for environment, to be perfectly honest, they are fun.